Inside dimensions of 17.75-in. x 14.25-in. and an outside dimension of 19.75-in. x 15.75-in.. Premium biscuit glaze for a glossy finish with a kiln dried ceramic construction. Single lever water and temperature control. Standard US plumbing connections. High-quality ceramic cartridge. Smooth non-porous surface; prevents from discoloration and fading. Double fired and glazed for durability and stain resistance. All mounting hardware is included. Drain fits standard sized 1.75-in. sink hole. Sink cut-out included in the box. Pop-up drain assembly with overflow. Designed for easy installation. 19 3/45-inch W x 15 3/4-inch D Oval Sink Set with Single Hole Faucet and Drain in Biscuit It features a oval shape. This undermount sink set is designed to be installed as a undermount undermount sink set. It is constructed with ceramic. This undermount sink set comes with a enamel glaze finish in Biscuit color. 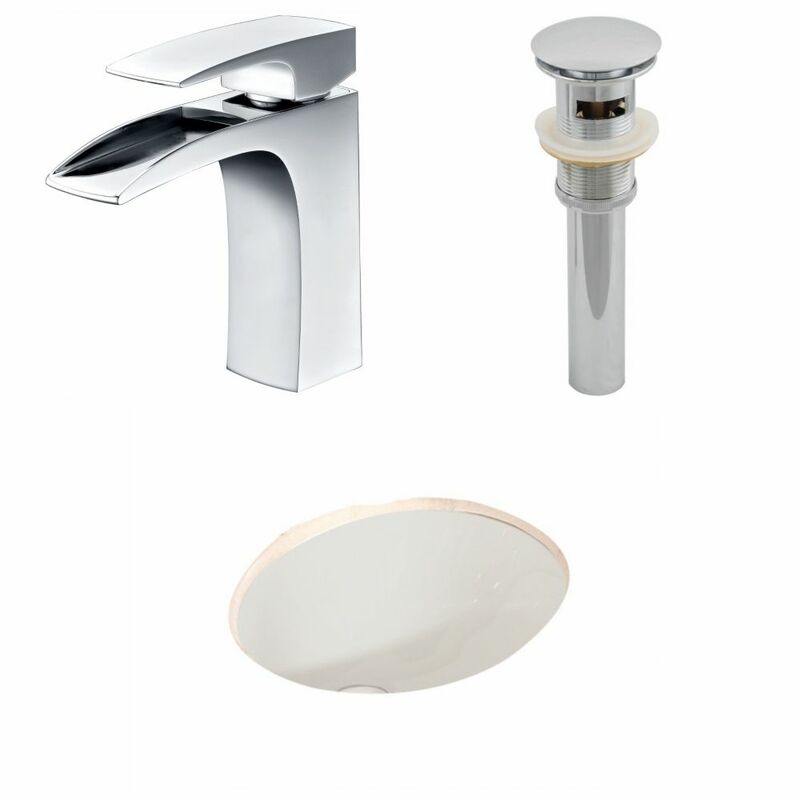 This transitional undermount sink set product is CUPC certified. It is designed for a single hole faucet.